I am so glad to officially announce the launch of very first version of eAskme Android App. There is a huge growth in the users of smartphones in last couple of years. 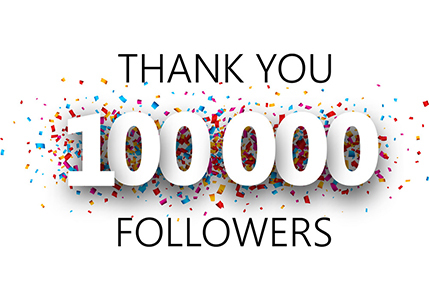 From some time I was thinking to launch android app of eAskme to target smartphone users. 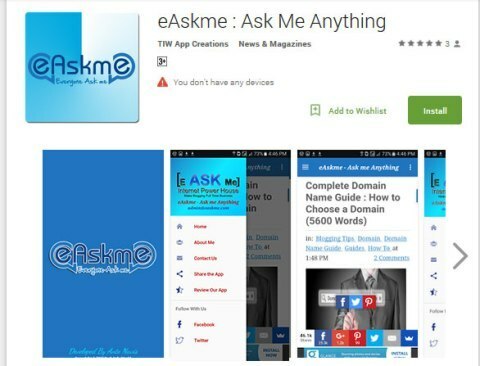 Now eAskme app is live for you on Google Play Store. Earlier I tried some free options to develop free android app for eAskme. But soon I realized that free android app tools are not enough for eAskme. eAskme is now a well known brand. So now we are offering android app for android users. This is the very first version of eAskme android app. It`s absolutely free. Developer has released this app with basic functionality and soon we will add more functions and options. You can download the eAskme android app from Google play store. What you get in eAskme Android app? Currently we are keeping things really simple for our readers. On eAskme app you will get the same look of eAskme mobile version and easily access all the information that you get on eAskme.com. Start with logo, load all the topics and articles. You can also access pages, contact form and subscription form to subscribe or contact eAskme team. If you still don`t know what is eAskme click here. So now you cannot only reach easkme through your browser but also get latest updates and stay tuned with us using our android app.